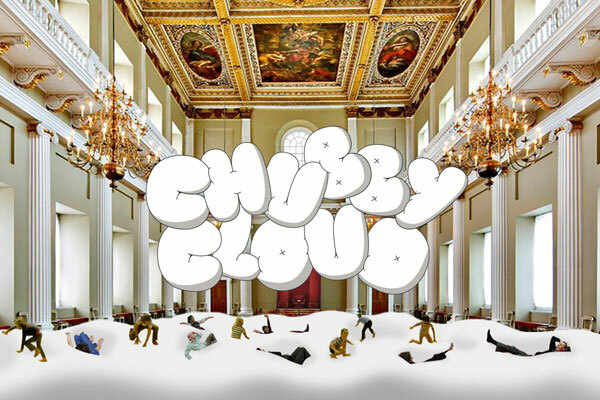 Banqueting House is to host accessories designer Anya Hindmarch’s creation ‘Chubby Cloud’, to celebrate London Fashion Week. Inspired by the cloud motif in Anya’s AW18 Chubby Collection, this experiential installation will enable visitors to climb on and sink into the world’s largest bean bag under the iconic Rubens ceiling in Banqueting House’s Main Hall. Taking place from the 14th – 16th September, highlights of the three day event will include bedtime stories read by Poppy Delevingne and Claudia Winkleman, Yana Peel in conversation with Marc Quinn and Victoria Sin talking about body image in art, Anya Hindmarch in conversation with Lisa Armstrong, Professor Russell Foster talking about sleep, guided morning meditations with Happy Not Perfect, lullabies, Richard E Grant, tech talks, history talks and even Radio 4’s Shipping Forecast read live to music all taking place on the Chubby Cloud. Visitors will also be able to enjoy Chubby Cloud inspired cakes in the Chubby Cloud pop-up café and visit the Chubby Cloud pop-up shop which will offer the designer’s latest Chubby Collection – released globally to coincide with the event – alongside products created exclusively for the event including Chubby Cloud cushions, Chubby Cloud eye masks and Chubby Cloud marshmallows.